Java has become much more complicated over the years. I started working with the language back in 2000. I’d been a database developer for a couple of years, working with Oracle, but wanted to create more general applications. I learned enough to pass my first Java job interview with two books: Laura Lemay’s Teach Yourself Java in 21 days (which had been recently revised for Java 2!) and the first half of Wrox’s Professional Java Server Programming. The builds were done through makefiles if they were scripted at all. It was fairly easy for a new developer to get working professionally. I mean, two books contained most of the information you needed – along information on how to do graphics, animation and applets. And the Wrox book also found time to cram in chapters on esoterica like Jini and Javaspaces. You could learn a lot of Java in 21 days. (I wish I still had my old copies of these books. Living in Brighton involved moving frequently between small rooms and a lot of books had to be abandoned). The applications that can be built with modern Java are impressive and far beyond the scale of what would have been possible in 2000. I think it would be impossible now to write any large scale Java application without a decent IDE. And Java is much more complicated than before. A lot has improved too, and it’s great to escape the horrors of classpath config, which has disappeared in place of easier options. But the point remains: I know a fair few people who learned to code under their own steam and ended up with successful careers. I imagine that is much more difficult nowadays. Back in 2000, applets were an easy way to learn to code and you could get going with notepad and a compiler. Modern Java is probably not a good beginner’s language. Overtime is one response to this, but it can easily spiral out of control, since this is one of the few places where leverage can be applied. It also suffers from diminishing returns. There is good evidence that working more than 40 hours a week over a long time is harmful to projects. 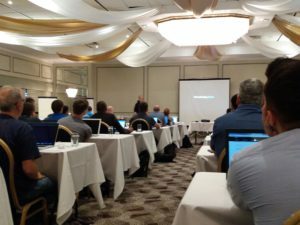 So how can projects speed up? By the time an unrealistic deadline has become solid, it’s usually too late. Deadlines are often particularly problematic in scrum. It takes time for a scrum team to settled into a cadence where their work-rate becomes predictable. If the scope and team size have been fixed, then there is no way to hit the deadline without distorting the process. What should you do when you have an urgent deadline that looks unachievable? In such a situation, failure has happened before development begins. Most times, this is not recognised until the developers are at work – resulting in crunch time, and estimates made to fit the deadline. In such situations, the best thing to do is to deal with the current project as best you can; and to look at future projects, making sure that these are not being scheduled without a good idea of the development needed. Whenever I interview a developer, I always ask them to write code on a whiteboard. Nothing too complicated – I expect everyone uses an IDE these days and the candidate is also probably feeling a little nervous. The big interview cliche is asking for a method producing a Fibonacci sequence. Even with telephone screening, this still eliminates more candidates than it should. A well-prepared interview candidate should have practised that one already, which means it’s still a useful test. Whether or not someone can do it, there are lots of interesting follow-up questions. Some candidates get flustered trying to understand the Fibonacci sequence. I’d expect most people to know this already, but I wouldn’t want to reject a potentially-excellent candidate for lacking a bit of maths knowledge. So sometimes I would simply ask for a function to product factorials. One obvious follow-up question to this is what the limits of the function are – using an int means you’ll have overflow problems quite quickly. Does the developer know the class to use to avoid this? The question simply asks for a piece of code. I would have given bonus points for any developer who mentioned testing before writing. But the perfect response would have been a candidate saying that the code would be different depending on its intended use. Who else needs to work on this? What documentation/commenting is required? How and where will it be deployed? Is any error checking or exception handling required? In the example above – which I would have accepted as correct – there is no handling for the obvious overflow error. Is something this simple suitable for the intended use? For example, a large number of similar requests might be better handled with some sort of question. All of which is a complicated answer to a simple question. A dev raising these issues in an interview would still need to produce the code – but the discussion that followed would be very different. Thomas Mann once claimed that “A writer is someone for whom writing is more difficult than it is for other people.” In the same way, the more I think about development, the harder it seems. A factorial example might seem almost insultingly simple – but it’s possible to have a very complicated conversation about it. Amazon’s Alexa is a virtual assistant available on the Amazon Echo, as well as (with a little struggle) on the Raspberry Pi. I find voice interfaces fascinating – they’re a staple of sci-fi, and the natural way people communicate with one another. Email and IM are great, but look at how often people switch from these to picking up the phone for a discussion. Voice works. One of the great things about Alexa is how easy it is to build a skill (as new Alexa abilities are called). There’s an Amazon tutorial that explains how to get a skill up and running in five minutes. There are also lots of useful blog posts on the subject, of which this is another. It will be the first in a series of posts. 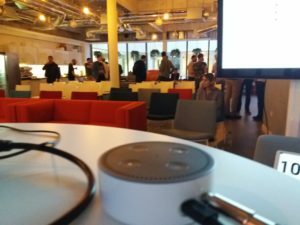 This initial version simply returns a randomised String to demonstrate how easy it is to get Alexa to work. All the code here is in a git repository. I’m going to draw attention to specific parts of the code, but not repeat the entire contents of the repo. Working through this tutorial requires a basic Java development environment (with gradle and git) and an Amazon account with AWS and Amazon Developer access. At their simplest level, Alexa skills receive a String and return a String. Amazon handles the parsing of the voice, and even does some neat things to contextualise what it has heard – for example, adding metadata about dates and times in the request. The skill simply needs to use this input to generate a response (sometimes marked up with Speech Synthesis Markup Language metadata). I don’t believe in the tarot as a fortune-telling method, but I’m interested in it as, in Italo Calvino’s phrase, “a machine for telling stories”. And I like the idea of having a piece of technology like Alexa reading and interpreting the cards. I mean, that’s science fiction, right? The first version of the TarotCardPicker creates a deck of 78 cards, then selects a random one. At this points we’re ignoring things like reversed cards and interpretations in favour of simplicity. We’re also ignoring lots of things like internationalisation, unit tests and javadoc which would be expected if this were to be used as production code. It’s possible to compile and run this piece of code. Running the two commands above from the project’s root directory results in a line of text stating the name of the card that has been picked. The next stage is to make this code available via Alexa. The easiest way to get going with a skill is to use Amazon Web Services (AWS) to host the code. The specific part of AWS that is used for Alexa is AWS Lambda. This is a serverless code environment and basically means a piece of code can run without having to worry about infrastructure. You don’t need to use Lambda, but it makes life a lot easier – running Alexa skills from web services means having to deal with certificates between Alexa and another environment. SampleUtterances.txt – the next file lists all the different ways a user might contact the service. These are grouped into ‘intents’. If you wanted to ask for a coffee you might say “Please give me a coffee”, “I’d like a coffee” or “I demand coffee”, all of which have the same Intent. This file maps statements to intents. IntentSchema.json this describes the intents the skill expects to receive. We can also use in-built intents, which allow different apps to have similar functionality. 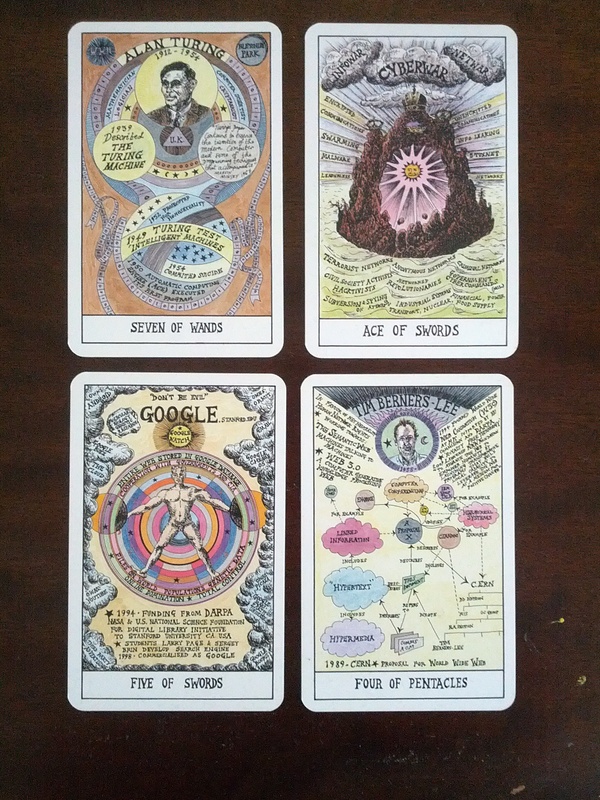 For example, I might ask Alexa to tell me how the Tarot card functionality behaves, which would trigger a HELP intent. TarotSpeechletRequestStreamHandler.java this class is a subclass of SpeechletRequestStreamHandler. The documentation explains “This class provides the handler required when hosting the service as an AWS Lambda function” – it’s a link between AWS lambda and Alexa. It’s pretty much a piece of boilerplate code. TarotSpeechlet.java the Speechlet is a simple interface that defines the Alexa behaviour: this implements the SpeechletV2 interface which is the main provider of the Alexa behaviours. In this case, it receives an intent and provides a response. log.properties this file defines the logging for the lambda function. As stated above, there are two Java classes. As the link between Alexa and the application code, TarotSpeechletRequestStreamHandler is fairly straightforward. It contains a static initializer which copies the APP_ID environment variable to a supportedApplicationIds variable, which can then be passed through the constructor to the superclass. Obviously, it would be possible to have the APP_ID hardcoded here, but this saves a little messing around. The reason for checking the application ID is to ensure that the request has come from our Alexa skill. It would be possible for someone who knew our endpoints to try sending requests, using our code to do the hard work for them (and be billed for it). Every request for Alexa includes an application ID, that can then be checked. onLaunch is “Entry point for Speechlets for handling a speech initiated request to start the skill without providing an Intent”. We’re ignoring this functionality. onSessionStarted, onSessionEnded are two callbacks for when a session begins or ends. Sessions are outside the scope of this particular post, but I’ll write about them later. This allows the creation of skills that include a series of interactions. 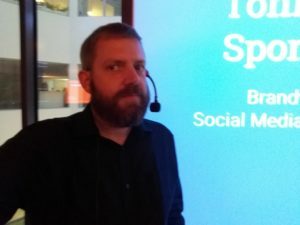 onIntent is called when a speech request linked to an intent is sent. Here we check for a single intent and if that is not found then an appropriate response is made. Note that the response is created as a SimpleCard – this is used in the Alexa app to add contextual information to the speech. I’ve also stripped all of the logging to make it simpler. At this point, we have all the code that we need to put this application live. There is still a little bit of work required to get the new skill connected to Alexa. I’m not going to outline all of the steps in detail, but will list the basic steps as at the time of writing (late June 2017). I’m also going to assume that an AWS account is available. AWS Lambda is available on the free tier. The first step is to produce a ‘fat jar’ locally. This is jar file that contains all of the projects dependencies. The build.gradle file contains a jar target that builds this far jar. The resulting file, ./build/libs/alexa-tarot-skill-fat-1.0.jar, is 9.4MB. 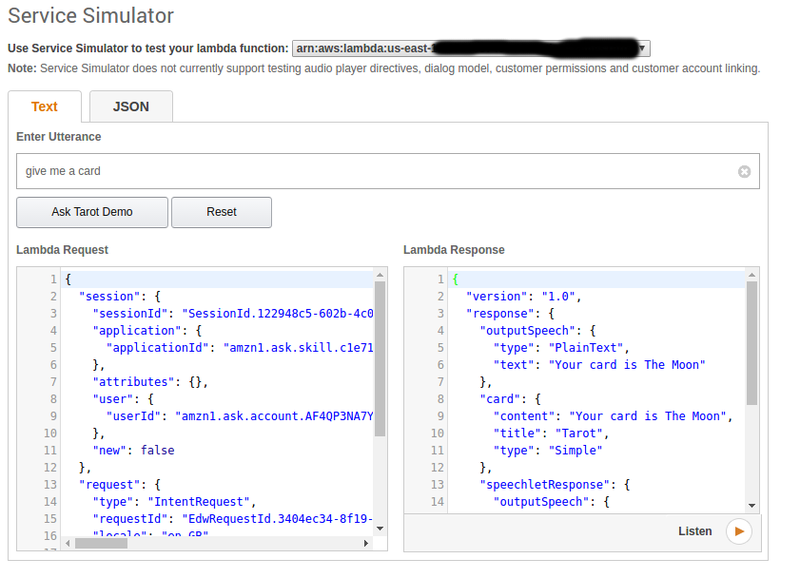 Log into AWS lambda, and create a new lambda function. Currently, this needs to be in one of two specific regions, US East or EU. The first option is to select a blueprint. Use a blank function. The second stage is to create the appropriate trigger. From the list available, select “Alexa Skills Kit”. To generate the list, click on the dotted-rectangle to the left of the Lambda logo. The bulk of the configuration is contained in the next screen, Configure function. The runtime drop down is changed to ‘Java 8’, which updates the options below in the form. No environment variables are set at this point. We do not have the APP_ID that will be provided by Alexa, so the skill will not work properly yet. The role needs to be set. If there is no existing role for the account, the drop-down opens a new page in the browser to set up a new role. The Tags and Advanced Settings can be ignored. Pressing next results in a summary page, and the Create Function button can be pressed to complete the work. This takes a little time to work. Once it is complete, look at the settings for the function to find the ARN. This will be needed in the next stage. 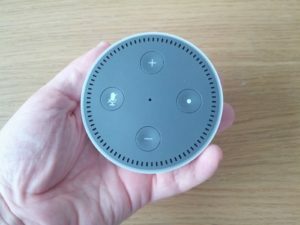 The next task is to create an Alexa skill that connects to the newly-created Lambda function. This requires an account on the Alexa developer portal. Log in to this and select the Alexa Skills Kit option. This has a button, Add a new skill. Press this to begin the process. The resulting form looks quite complicated, but not all of the tabs need to be filled in. If necessary, change the language from English (US) to English (UK) as this can improve the information received from Alexa. Invocation name is the name that needs to be spoken to contact the skill. Press the save button to make sure everything is as expected, then press next. At this point, the application ID will be available. This is a long string that begins “amzn1.ask.skill”. This now needs to be copied across to the environment variables for the lambda function. Returning to AWS lambda, open the configuration for the function that has been created. Add a new environment variable, called APP_ID, which contains the application ID from earlier. Save this, and the Alexa skill has been set up. The final stage is to test it on the Alexa device. Because this skill is still at the developer stage, it can only be tested on Alexa devices connected to the developer account. Saying “Alexa, ask Tarot, give me a card” will result in Alexa saying the name of a card. 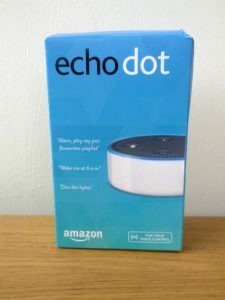 If you do not have a physical Alexa-enabled device, it is also possible to test Alexa through a web browser at echosim.io. Note that this still requires a valid Amazon account. This post has shown how to set up a very simple application in Alexa. There’s not much more to it, other than demonstrating the set-up, but future posts will focus on how to get Alexa to do more interesting things. If you have any questions, or anything is not clear, then please leave a comment and I will update the text.